This villa is located in Albufeira. On the ground floor it has living room, 1 bedrooms with bathrooms, 2 bedrooms and 1 bathroom on the 1st floor, it has 2 bedrooms and bathrooms. It also has garden and swimming pool. 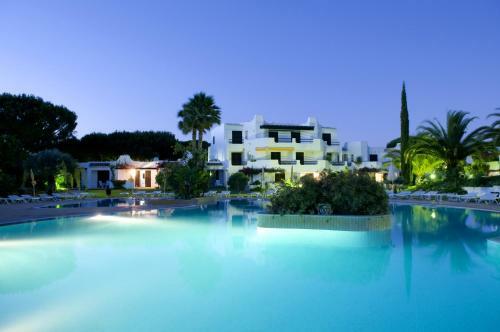 Located in Albufeira, Villa Albufeira features an outdoor swimming pool and a tennis court. The property is 3 km from Albufeira’s lively Old Town and 3.3 km from Fisherman's Beach. Located in Albufeira, this holiday home features a patio. The unit is 1.1 km from Albufeira Marina. Free WiFi is available throughout the property and free private parking is available on site. Featuring 6 outdoor pools and a 9-hole golf course, this resort is just 500 metres from Maria Luísa Beach. A gym with professional instructors and 2 restaurants are available.